With the amount of hours parents often need to spend working these days, as well as the busyness of most children when it comes to school work and extra-curricular activities, it can be difficult to find enough time to spend together as a family. Add in the prevalence of screens (many children tend to spend their free time texting, playing games, on social media, and the like), and you can get families who barely end up having a full conversation each day. It is so important to have screen free activities that you do together. Having quality time together is incredibly important because there are so many benefits of family time. Family activities can not only strengthen relational bonds and create many happy memories, but also boost a child’s self-esteem and confidence levels, and enhance their social development and communication skills. 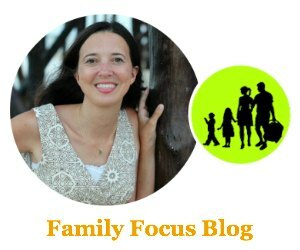 If you’re worried that you’re drifting away from your children, and that you really don’t know what’s going on in their lives or their minds these days, it’s time to take action. Read on for some top fun activities you can start doing today as a family to reconnect. A fantastic way to spend quality time together as a family is volunteering. Not only will you be giving back, and get to feel good from that, but you’ll also have the chance to teach your children about the world at large and to help them build empathy and appreciate what they have themselves. It is a good idea to speak with your kids about what type of charity they might like to volunteer with. For example, some children are obsessed with animals, so would love to help out at an animal shelter, while other children might enjoy being in the great outdoors cleaning up their local environment. The more interested and engaged your children are to start with, the more they can really take from the experience. Think about what will be suitable for the age of your children, and go from there. Another way to spend quality time together as a family is to take up hobbies that everyone can enjoy. This can vary tremendously, depending on interests, but you might like to consider something as beneficial as exercising together – think cycling around your town, hiking through local parks or up nearby mountains, kayaking on lakes or rivers, or heading to the slopes in winter, just to name a few options. Alternatively, if you and your children enjoy creative pursuits, then you could all attend a workshop together, or study some YouTube videos or online tutorials and learn how to paint, draw, scrapbook, write, compose music, or anything else you might find fun. 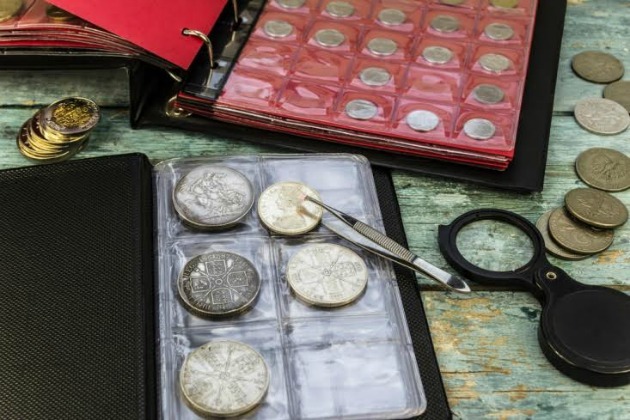 Another great activity to connect families that can also help your children’s math skills at the same time, is coin collecting. My stepmother introduced me to coin collecting when I 12 and I just loved it. We always shared that interest and it gave us a good connection. You might also like to arrange a visit to a mint in your area or on your next trip away. Speaking of which, exploration is another great family hobby and you can organize weekend trips to explore local tourist attractions that you have been missing or day trips to nearby sites. Food is a huge part of life and something that all children should learn about, preferably from a young age. 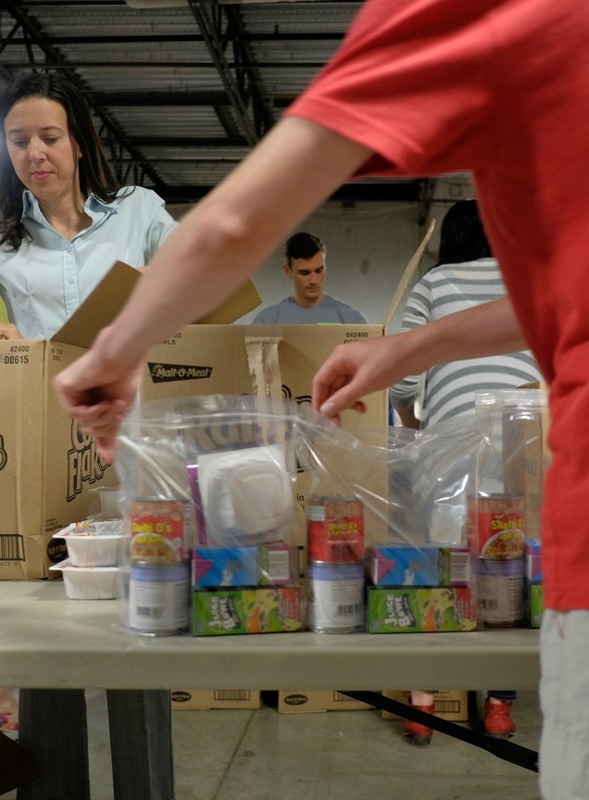 To help with this, while also providing you with a great activity to enjoy as a group, you could make sourcing, cooking and eating food together a weekly habit. For example, you could look for places (either farms or local, natural areas) where you can go to pick your own fruit or vegetables. Children love getting involved in picking seasonal produce such as apples, strawberries, blueberries, carrots, pumpkins and the like, and this activity also helps them to learn about where food comes from. If you have the time, you might even like to plant your own garden at home so that your children get even more involved in the process. Alternatively, if these options don’t work, you could attend weekly farmers’ markets to select your fresh fruit and veg directly from producers. Once you have your produce, it is a great idea to cook together as a family too, and show your children how those fresh apples you picked get turned into apple pies or how pumpkins can become tasty pumpkin soup. 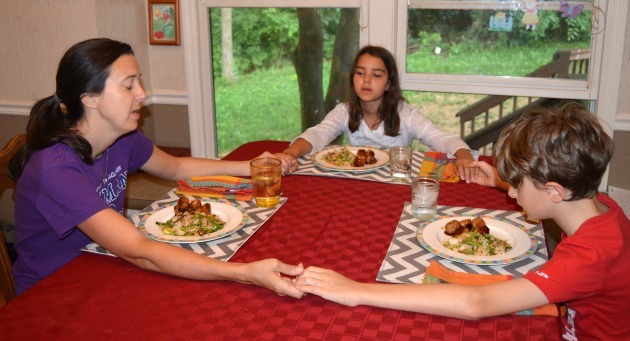 After the meal is made, make sure that you all sit down to eat together as a family, with no outside distractions such as televisions or cell phones to interrupt the conversation and the reconnection.